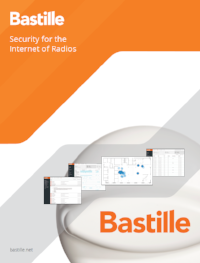 Bastille enables organizations to constantly monitor their airspace for RF emissions, including the presence of portable hotspots enabled by cellular or other devices. Persistent monitoring for RF until now has been the province of specialized professional service offerings and not available as an Enterprise Service. Balint Seeber, Director of Vulnerability Research at Bastille Networks discusses constant monitoring for portable hotspots.